Face it. Nintendo's never been a powerhouse in digital entertainment, like Sony or Microsoft. That could change. "Regarding if there's anything we can do from now on that we aren't currently doing for the 3DS and the upcoming Wii U, of course, whether that means there something we can do for in the digital business or something in digital downloads," said Nintendo president Satoru Iwata at a recent financial meeting. "That is to say, I do think there's a big opportunity there." Iwata would not go into particulars, but added that there is a "strong will" to move further in to the digital business space. Iwata did admit that in the past this is a realm that has proved difficult for Nintendo, and perhaps the company hasn't been as successful. But for the 3DS and the Wii U, Nintendo thought these were platforms it could target with both retail and digital software, mixing the company's package and retail business. The digital experience that the 3DS is one of the best ones I've had, and a huge step up from what the DSi and the Wii currently offer. With DLC heavy franchises like The Idolmaster, Namco Bandai has proven there is lots of money to be made from Japanese games on digital content and in-game items—something PC game makers have known for years. But is Nintendo also thinking of going this route? "I am not against charging for in-game items," Iwata said, adding that he's never been against it, but added that within that framework, wouldn't the inherit "premium value" that Nintendo games have been damaged? The issue that Iwata discussed was, for example, if Nintendo offers additional stages as DLC, that might be a good way to further the lifespan of games and keep entertaining players. However, some people might wonder how much they'll have to keep playing to enjoy new stages. 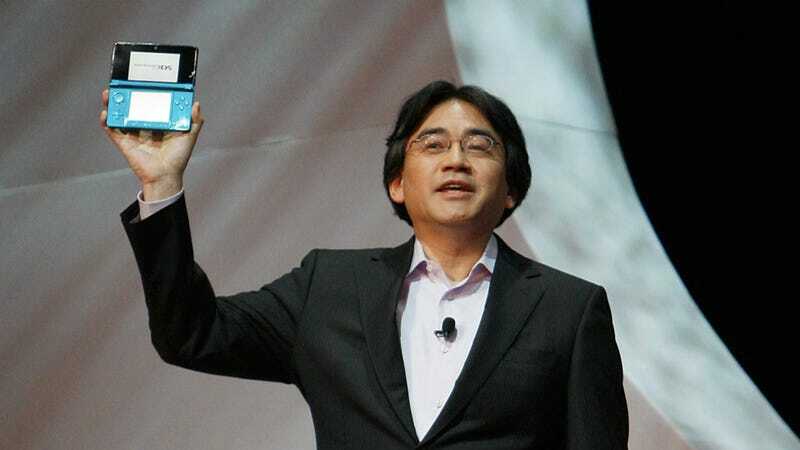 Instead, Iwata referred to the business models that many smartphone games have—you buy a game, and there are regular updates. (Think Angry Birds.) This sort of set up is becoming increasingly feasible as more and more people get online. Iwata didn't confirm anything, but if Nintendo's view of DLC is one in which you pay upfront and then you continue to get new in-game elements, that could definitely be a compelling argument for Nintendo's digital experience. According to Iwata, he still thinks package titles will exist, and sees retail and digital as important elements of the way Nintendo operates. Imagine how this could work with Smash Bros. or Pokémon or even Animal Crossing. Nintendo, once written off as Luddites, might have digital gaming figured out more than any of its rivals.